Experimenting with new materials, techniques and divergent ideas can birth new solutions and bring about innovation. Five panels have been created using our amazing hand painted papers. Our future workshop with the staff will enable them to write healing advice on the foreground among the birds. 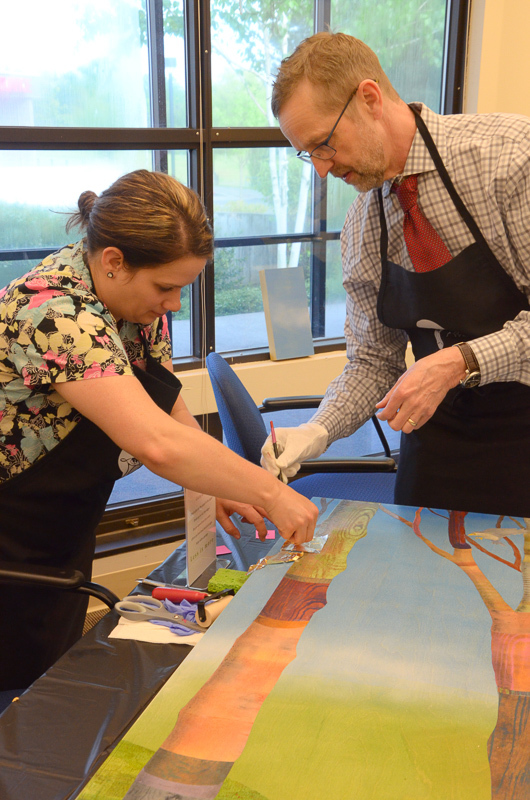 Participants will also gold leaf the background trees. 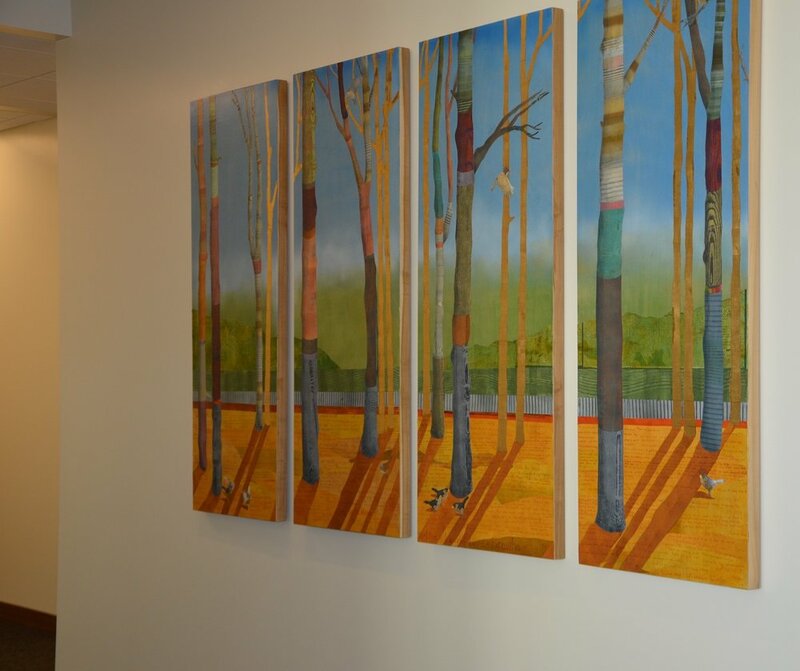 Five panels have been created using our amazing hand painted papers. Our future workshop with the staff will enable them to write healing advice on the foreground among the birds. 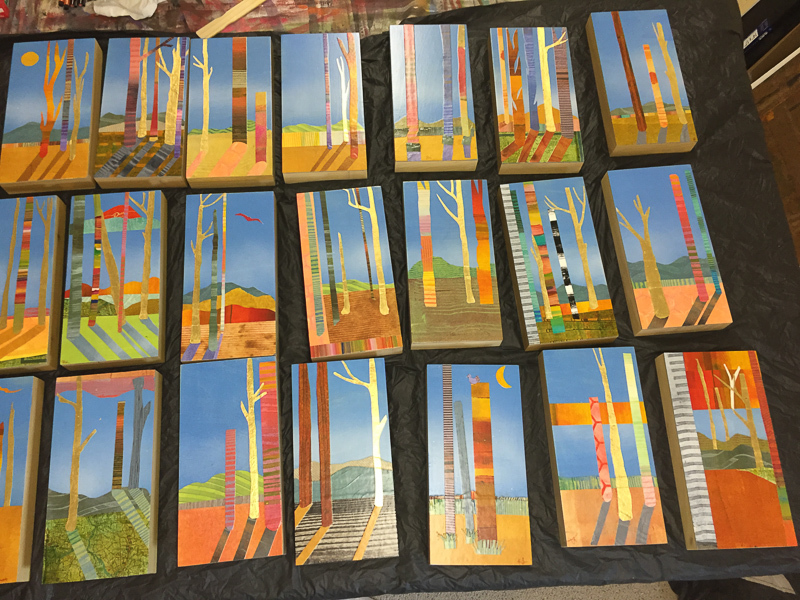 Participants will also gold leaf the background trees. Ruby wanted a timeline of their growth on a massive green wall, so we created a unique aluminum butterfly concept that grows with them as they add employees. Large butterflies represent the uniqueness of the employee that created it. 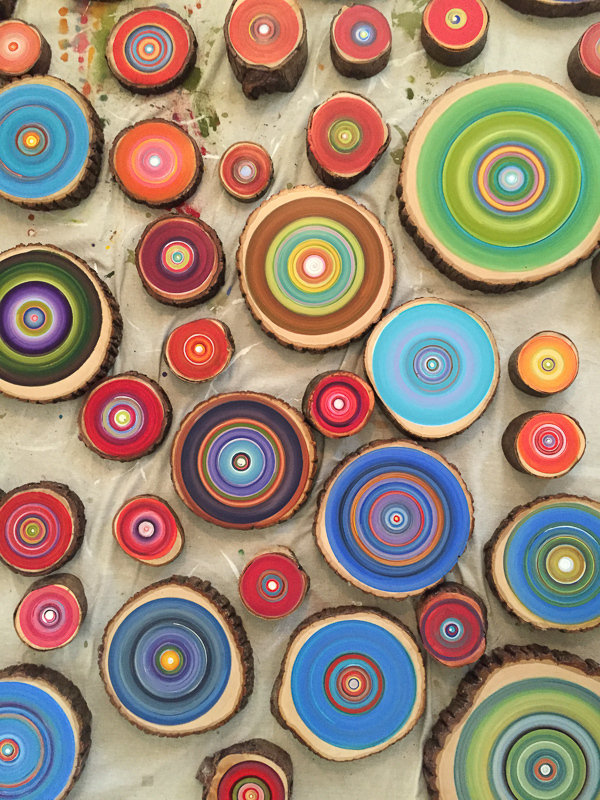 As in all of our workshops, each person created a take home art piece with intention. Ruby has embraced the butterfly effect, spreading kindness across the country as they grow. 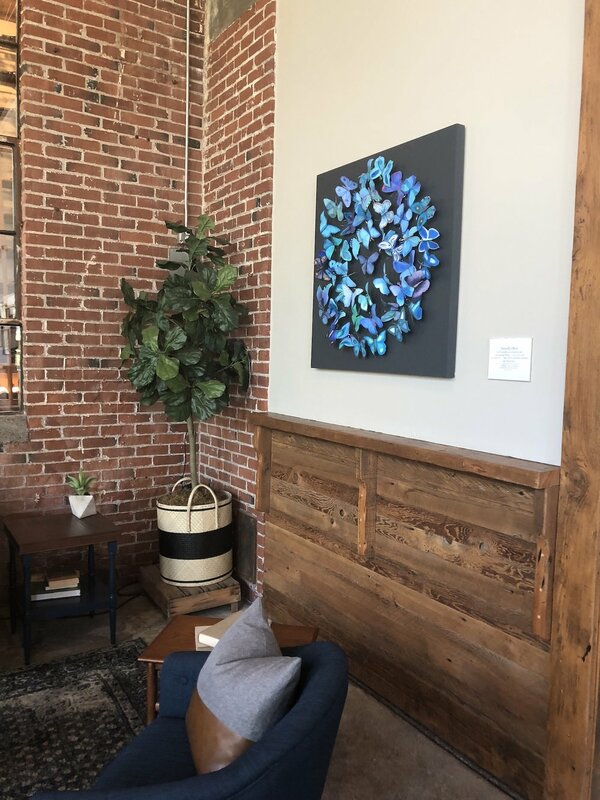 Employees of Cambia Health Solutions in Portland Oregon gathered together for a series of 10 workshops to create 3 large 48 x 96” panels filled with over 1400 wood circles, some natural and others painted. Each panel has over 150 magnetic wood discs with a "call to action" written by employees on its hidden side. Employees choose a disc from one art panel, read and perform the call to action, moving the disc to a different colored panel. The panels slowly morph from one color into vibrant multi colored art works as wonderful changes start to occur from the positive works being performed, allowing the beautiful art to transform, and the culture to deepen and change along with it.